An unusually high number of executions are scheduled for late September and early October - five states intend to carry out six executions in nine days. Pieces in the Los Angeles Times and the Washington Post describe the larger issues raised by the cases in this "burst of lethal activity." In the Los Angeles Times, Scott Martelle examined the three executions scheduled for consecutive days in Georgia, Oklahoma, and Virginia, concluding, "So here we have three pending executions: One of a woman who received a harsher penalty than the co-conspirator who committed the murder; one of a man who very possibly is innocent; and one of a man whose intellectual disability should make him ineligible for the death penalty." Mark Berman, of the Washington Post, noted the overall rarity of executions and the small number of states that carry them out. He says "most states have ... not been active participants in the country's capital punishment system" and "executions remain clustered in a small number of states, a dwindling number of locations accounting for an overwhelming majority of lethal injections." Berman notes that the number of executions, the states executing inmates and the number of death sentences have all fallen significantly since the 1990s and the upcoming executions share one common characteristic: "The states planning the executions this week and next — Georgia, Oklahoma, Virginia, Texas and Missouri — are among the country’s most active death-penalty states since the death penalty was reinstated by the U.S. Supreme Court in 1976." Virginia may execute Alfredo Prieto on October 1 despite concerns by disability advocates that he may be intellectually disabled. Governor Terry McAuliffe (pictured) announced on September 28 that he would not grant Prieto a reprieve. Gov. McAuliffe issued a statement saying "It is the Governor’s responsibility to ensure that the laws of the Commonwealth are properly carried out unless circumstances merit a stay or commutation of the sentence. After extensive review and deliberation, I have found no such circumstances, and have thus decided that this execution will move forward." Prieto's attorneys say he is intellectually disabled and therefore ineligible for execution and that an adverse Virginia state court determination of that issue employed a scientifically invalid strict IQ cutoff score. Later, in 2014, the U.S. Supreme Court ruled that the use of strict IQ cutoff for ruling out intellectual disability without considering other factors violated the Eighth Amendment. The Arc of Virginia, an advocacy group for people with intellectual and developmental disabilities, said, "We believe that allowing Mr. Prieto’s execution to go forward on the evidence as it stands is unjustified scientifically and would endorse a misunderstanding of intellectual disabilities that was refuted long ago." 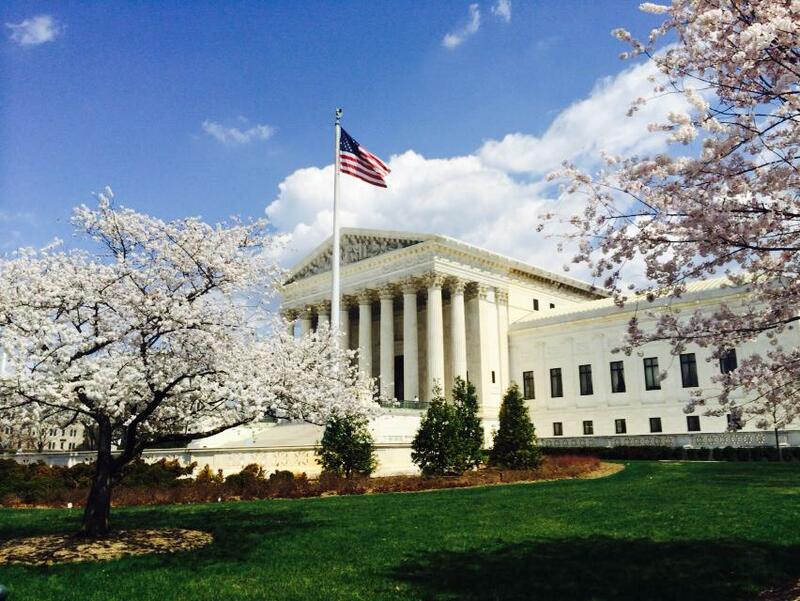 CORRECTION: On June 18, the U.S. Supreme Court announced its decision in Brumfield v. Cain, a Louisiana death penalty case dealing with intellectual disability. The Court held that the federal district court was entitled to conduct an evidentiary hearing to determine whether Kevan Brumfield has intellectual disability and is therefore ineligible for execution. It reversed a ruling of the United States Court of Appeals for the Fifth Circuit that would have deferred to a Lousiana state court decision permitting Brumfield to be executed without a hearing on his claim of intellectual disability. After an extensive evidentiary hearing, the district court held that Brumfield was intellectually disabled. By a vote of 5-4, the Supreme Court ruled that Louisiana had unreasonably determined the facts when it decided that Brumfield had not presented sufficient evidence of intellectual and adaptive impairments to warrant an evidentiary hearing in state court. Writing for the majority, Justice Sotomayor said, "After Atkins was decided, petitioner, a Louisiana death-row inmate, requested an opportunity to prove he was intellectually disabled in state court. Without affording him an evidentiary hearing or granting him time or funding to secure expert evidence, the state court rejected petitioner’s claim. That decision, we hold, was 'based on an unreasonable determination of the facts in light of the evidence presented in the State court proceeding.' Petitioner was therefore entitled to have his Atkins claim considered on the merits in federal court." The case returns to the Fifth Circuit for consideration of whether the district court's findings are supported by the record. On Monday, March 30, the U.S. Supreme Court granted review of three Kansas death penalty cases and heard oral argument in a Louisiana case that presented questions on the role of the federal courts in determining whether a state prisoner who faces the death penalty has intellectual disability. In the cases of Kansas v. Reginald Carr, Kansas v. Jonathan Carr, and Kansas v. Sidney Gleason, the Court granted review of the Kansas Supreme Court's decisions overturning the defendants' death sentences because their sentencing juries were not told that, unlike proof of other facts in the case, the defendant did not have to prove mitigating circumstances (reasons for life) beyond a reasonable doubt. It also granted review in the Carr cases of the state court's decision that the brothers should not have been tried together in the penalty phase of their capital trial because some of their mitigating evidence was mutually antagonistic and the jury should not have considered this evidence against the other brother. In Brumfield v. Cain, the Court heard argument in the case of a Louisiana man, Kevan Brumfield, sentenced to death before the Supreme Court ruling in Atkins v. Virginia banned the execution of defendants with mental retardation (now intellectual disability). (For more on the Brumfield case, click here.) The Supreme Court will determine whether the federal courts must defer to a decision of the state courts that rejected his claim of intellectual disability based solely upon the evidence presented at his trial or whether to credit the federal district court's finding after a seven-day evidentiary hearing that Mr. Brumfield is intellectually disabled and may not be executed. On March 9, the U.S. Supreme Court agreed to hear Hurst v. Florida, a challenge to the state's unusual sentencing procedure. In a prior ruling, Ring v. Arizona (2002), the Court held that the question of whether a defendant is eligible for the death penalty is entitled to a jury deteremination. Unlike almost every other state where unanimous juries are required for death eligibility and a death sentence, Florida only requires the jury to make a sentencing recommendation to the judge, who then makes the final decision on the existence of aggravating factors and the actual sentence. Timothy Hurst was sentenced to death by a judge, following a 7-5 recommendation for death by the jury. The jury's recommendation did not make clear which aggravating factors made him eligible for the death penalty or whether they found any aggravating factor beyond a reasonable doubt. The Supreme Court's decision in Hurst v. Florida could affect pending cases and other inmates on the state's death row.